There is a reason I've been quiet about arguably the top story for the Dallas Cowboys this offseason, which is Dez Bryant's future with the team. Foremost, there has been very little news to actually drive this story that Bryant will either be on the team in 2018 or not. At the end of the day, this is another player under contract for the Cowboys - making talks of his departure from Dallas purely speculation. Almost all of this changed yesterday though, with a report that Cowboys Owner and General Manager Jerry Jones will finally get his much-anticipated meeting with his team's star wide receiver on Friday. 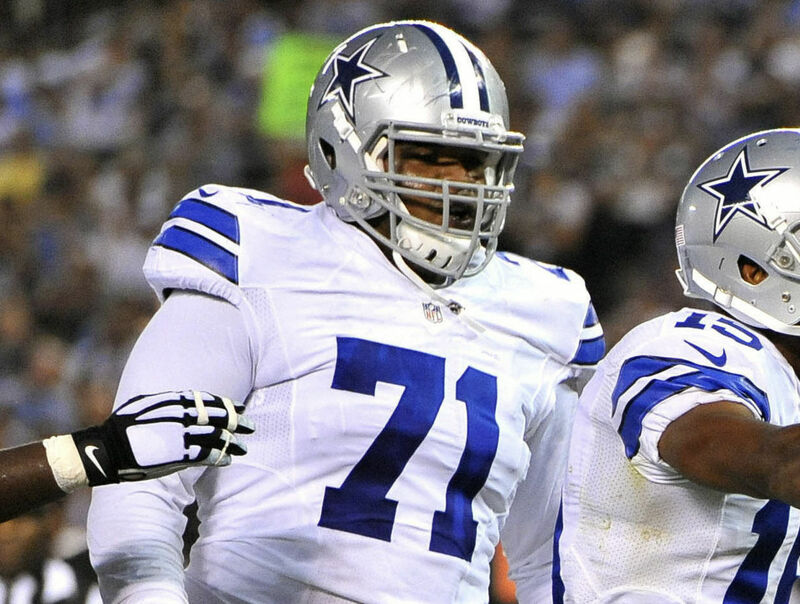 This offseason arrived abruptly for the Cowboys, who missed out on the playoffs in 2017 while watching Bryant struggle once again with second-year Quarterback Dak Prescott. Since the end of the season for Dallas, two things (that now pertain to this Dez Bryant situation) have been perfectly clear. The extent of which the Cowboys turned over their coaching staff as a response to a disappointing nine wins may be bad news for fans, but should be viewed as good news for Dez Bryant. From top to bottom, the Cowboys have become known (for better or worse) as a loyal franchise to its players and coaches. Since being drafted in 2010, perhaps no player has felt this loyalty from America's Team more than Dez Bryant. If we believe that the team is imposing some sort of fabricated "deadline" to deal with Dez Bryant this offseason, a player they can happily carry into next season if they choose, a decision following Jerry's meeting with Dez will be made by a similar brain trust to that of the last seven years. This may seem obvious, but it is immensely important to keep in mind. Under Jason Garrett and Scott Linehan, the Cowboys failed on offense this season. Entirely. 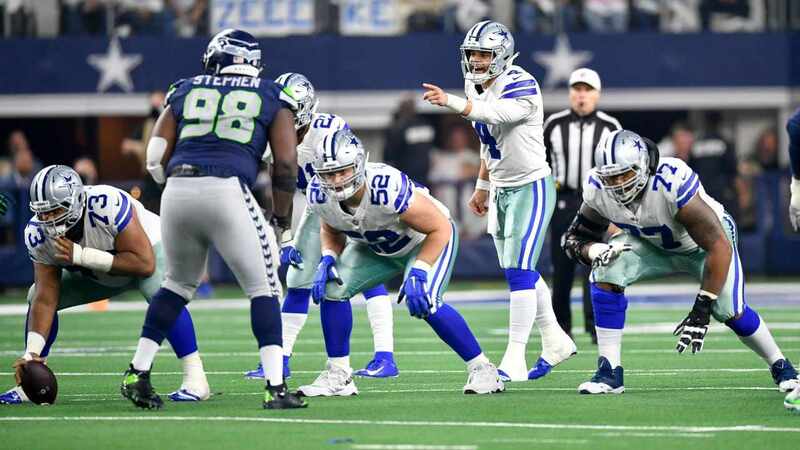 Fixing the offense for the Cowboys certainly seems achievable in a short period of time, which is likely all Garrett and Linehan have to turn this team around. Are both coaches, along with the rest of a staff they could collectively drag down, prepared to fight for their coaching lives without a competitor like Dez Bryant on the field in 2018? The logical answer here would be a simple "no". 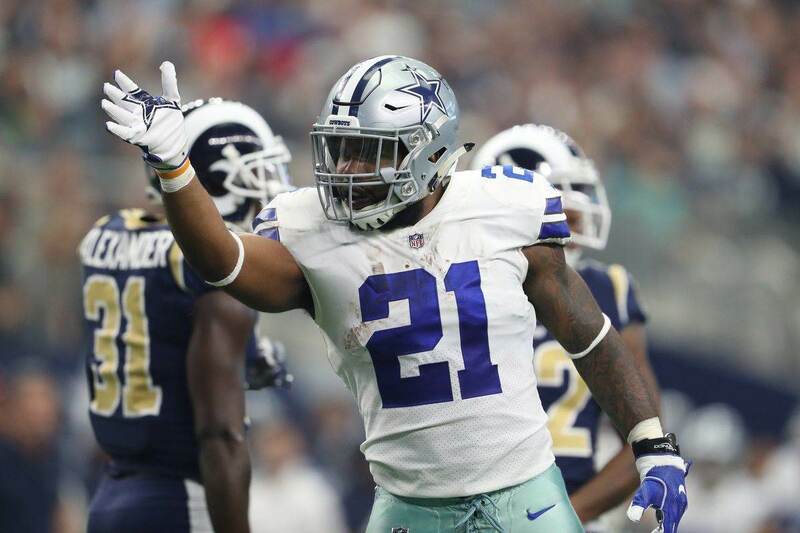 Sorting through a potential roster move that would instantly change the direction of the Cowboys is not easy though, and requires a further look at what the Cowboys plan could be to compete without Bryant next season. 2. The Cowboys have shown a lot of interest in acquiring wide receivers since the start of the offseason. At the first opportunity to improve their roster, the Cowboys began free agency by showing interest in WR Sammy Watkins. When Watkins signed a three-year deal in Kansas City worth almost $26.5 million guaranteed, the Cowboys regressed to their usual FA approach. This is to say that Stephen Jones and the Cowboys stepped away from the market of top-tier free agents, waiting patiently again to fill out the roster with less expensive talent. The team was able to add two new wide receivers through free agency though, signing both Deonte Thompson and Allen Hurns. The team has also not stopped showing interest in available WRs, as they're focused has shifted to the 2018 NFL Draft. With a deep group of pass catchers available, the Cowboys have visited with nearly all of the top receiver prospects - including Oklahoma State's James Washington as late as this week. The only safe takeaway from the Cowboys doing their due diligence at a position of need (as the roster stands here on April 12th still, with Dez Bryant on the field) is that they will be looking to continue adding young receiving talent in hopes of restoring confidence to their young quarterback and becoming more potent on offense in 2018. This may be an unattractive headline, but it is the calculated one when it comes to dissecting how the Cowboys feel about Dez Bryant in this moment - which brings us to the reported details of what Jerry Jones and Bryant will actually sit down to discuss tomorrow. All of the work the Dallas Cowboys have done in evaluating both free agent and draft eligible wide receivers has been handled without Jerry Jones truly "getting his hands dirty". It still makes sense that Jones, who remains as important a decision maker in Dallas as any, will meet with Dez Bryant to either discuss an emotional farewell from the Cowboys or a pay cut to remain with the team. If the latter option is truly being offered to Bryant, a declining player with two year's worth of struggles under a QB the Cowboys are not planning on moving on from anytime soon, this entire offseason's worth of work has been about creating negotiating leverage against Dez. The Cowboys may not like the idea of entering the draft with an even larger need at WR, but they can certainly show Dez Bryant that they're prepared to address his position in a big way. For a team whose salary cap is primarily managed by Stephen Jones though, this could be a case of Jerry delivering Stephen's message to Bryant. One can only imagine the twisted game of high-stakes telephone that could be played between the Jones' should Jerry still be loyal to Dez Bryant. 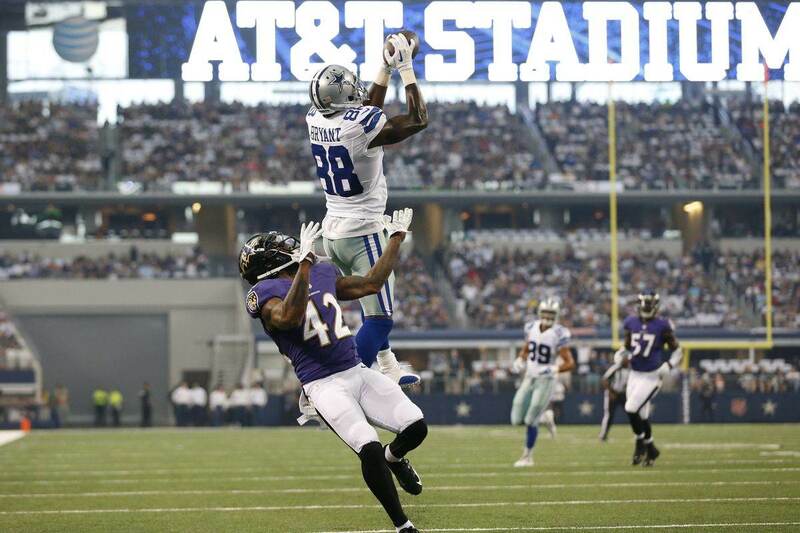 There is no reason to sit here today and think that Jerry Jones is not a supporter of Bryant, nor that he is alone in wanting the 29-year old WR on the team next season. There may be even more reason to believe that these Cowboys executives will be outweighed, not just by the "anonymous staffer" that called for Bryant's departure recently, but by an equally powerful contingency of players, coaches, or front office members. Hence the need for Dez Bryant to sit down with Jerry Jones. It doesn't get any higher than the Hall of Fame owner of the Dallas Cowboys. Jones has not been put in the position to potentially cut an All-Pro player without the proven help of his son Stephen as well as Will McClay. Whatever the Cowboys do with Bryant, we may never know who the final decision maker was, or if the team was able to reach any consensus on it - which I believe will truly be the more important Cowboys story to come of this. Friday will not be your average start to a weekend in late April for Cowboys Nation. Tell us what you think about "Dez Bryant: Is Cowboys Loyalty in WR Running Out at Perfectly Wrong Time?" in the comments below. You can also email me at Sean.Martin@InsideTheStar.com, or Tweet to me at @SeanMartinNFL!